Bookish Lifestyle: International Giveaway! 2 x $50 GC + 3x Book of Choice! International Giveaway! 2 x $50 GC + 3x Book of Choice! Hi lovelies! I thought I'd host a little giveaway to celebrate getting back into blogging - I've been saving up to do so and it feels like a good time! I haven't been able to fully immerse myself in blogging for over a year. Things kept getting in the way and, well, I just didn't feel like it anymore. I guess it was a blogging slump? I'm definitely more positive about it now. I am filled with new energy and ready to tackle the blogging thing once again (with some slight adjustments, ha!). I've been focusing more on books that I actually want to read and am genuinely excited for, so that helps for sure! I also want to post more lifestyle / beauty posts, but we will see how this goes! I have some excited things lined up for the blog and for my Instagram account @eviebookish, so that's something to look forward to! But without further ado, let's get this giveaway going! It's only going to be running for a week, so don't wait to enter! 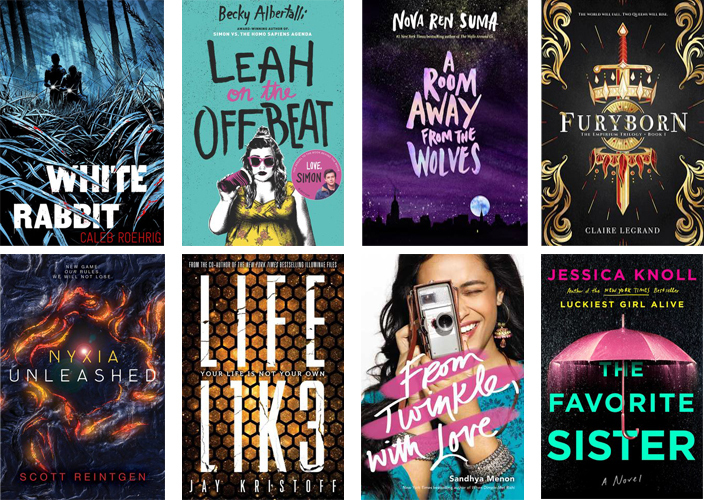 Here are some books I'm personally really excited about this year, but by all means, you are free to pick whatever book you want in any format you want if you win! Giveaway rules: Open to International entrants. Must be 16 or have parents permission to enter. Giveaway ends 05/26 and the winners will be announced on this post.